I like to give my kids' teachers cookies for Christmas. I have these perfect 6x6x1 inch sized white gift boxes with transparent lid from Uline. 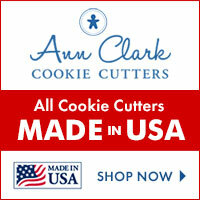 They can transform any big cookie or set of smaller cookies into a nice little gift. I mixed a small palette of TruColor Royal blue icing. 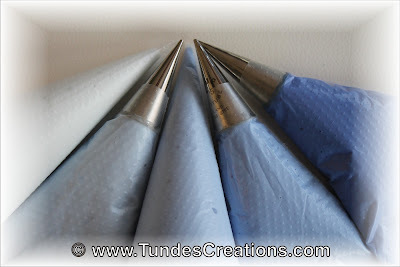 I love to work with different shades of the same color and the beauty of TruColor's natural colors always amazes me. 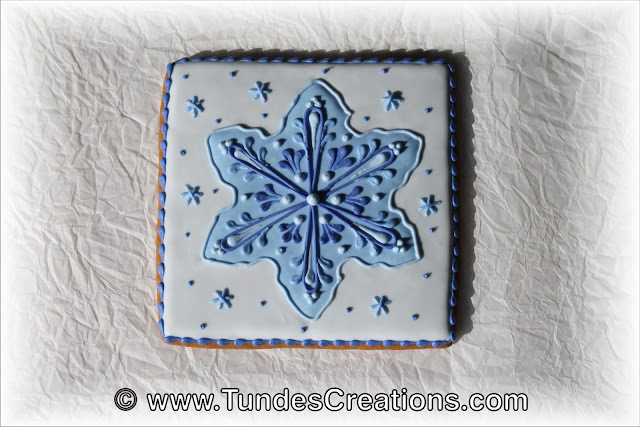 The next cookie is the same style. 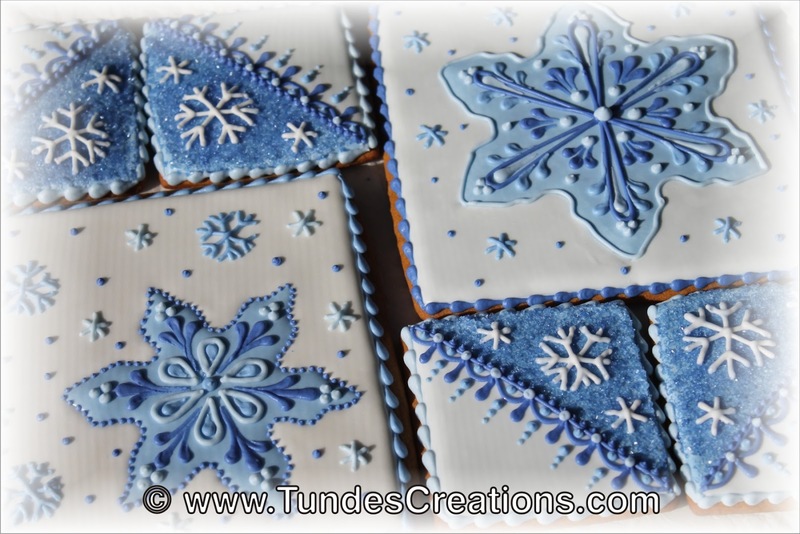 For the main motif I used a smaller cutter, positioned in one corner and filled the rest with different sizes of snowflakes. I don't have a video for this one (yes, I forgot to push the record button), but the steps are very similar to the first cookie. And here is my favorite. 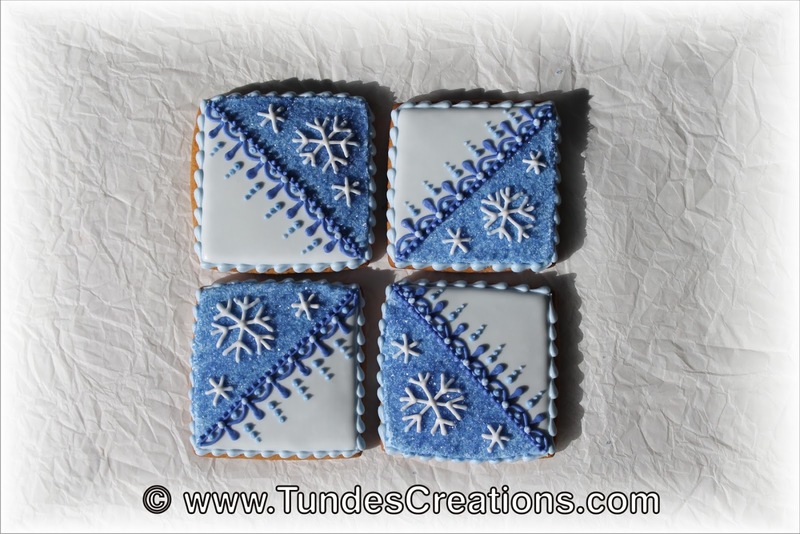 This is a set of 4 small squares. The same design repeated 4 times. Half of the square is sprinkled with TruColor sanding sugar for some color and texture. 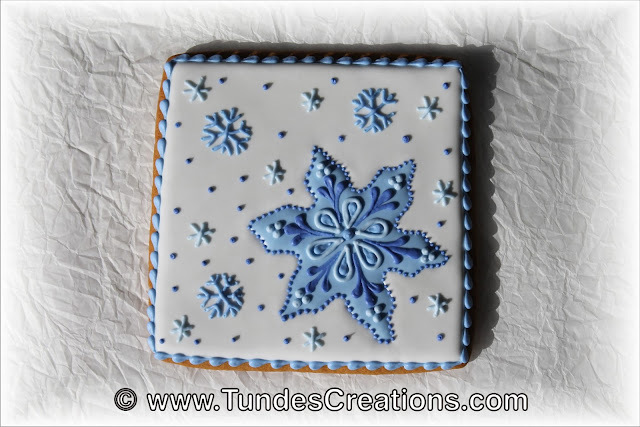 Then I added snowflakes on top. The other half is blank and the two parts are connected with lace work. 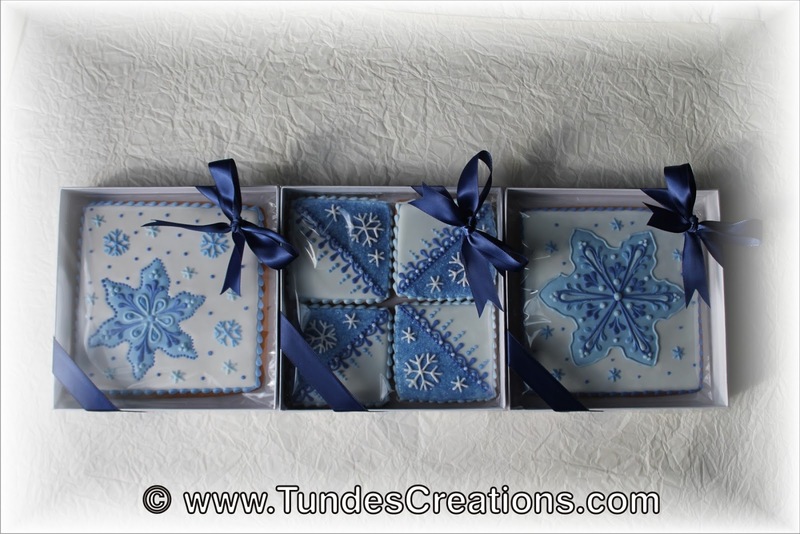 As you can see at the end of the video, by arranging the 4 squares in different ways your can get very different gift boxes.